Each year Microsoft hosts a 3-day conference for web developers and designers to unveil new Microsoft technology through developer sessions, workshops, and technology presentations. Back during the unveiling of Windows Phone 7 Series, Microsoft promised to answer the unknowns that they weren't ready to announce. 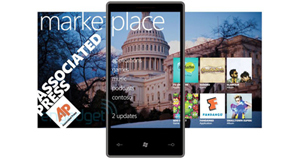 Today Microsoft achieved information overload as it unveiled the Windows Phone 7 Series Marketplace, third-party applications and a slew of software partners already roaring to go. Accessed through the hub, the Marketplace is the go to place for all downloadable apps. Like Android and iPhone, credit card purchases are built-in along with the option for developers to distribute ad-supported applications. Only applications that have been downloaded through Microsoft's Marketplace can find their way onto WinPho7 devices but they've made clear the app submission process will be as transparent as possible to avoid the hiccups seen in Apple's App Store. Like the Android Market, developers can offer a trial of their application that last however long the developer chooses and upgrading to the full version requires no additional download. Trial or not, you're downloading the full app. Similar to iTunes, users can browse and download apps from the Zune desktop client and transfer them to their WinPho7 device. Microsoft had a number of applications on hand to show off today at MIX along with a grocery list of partners they're working with to deliver a top notch Windows Phone experience. Among the apps showed of, it seemed none was more exciting than the Netflix app from which subscribers could stream their Watch Instantly library to Windows Phone devices leveraging the Silverlight platform. They showed off an Associated Press app, which allows users to access news that's happening around the world. 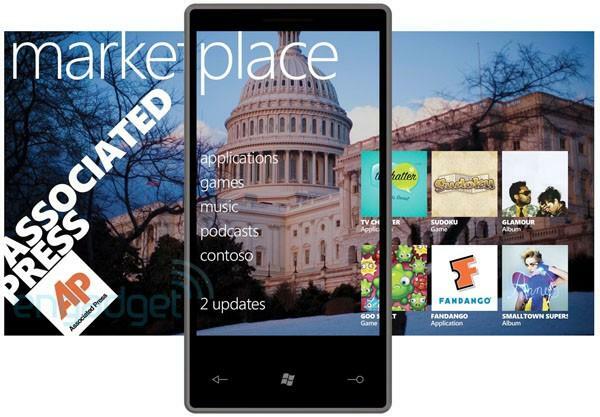 Other notable partners on board to develop for Windows Phone are EA Mobile, Pandora, Shazam, and Sling Media. Thanks to Xbox Live integration, gamers can up their gamerscore by completing achievements within Windows Phone gaming titles. Microsoft's MIX10 keynote cleared the air for potential developers and its already growing application catalog. Based on these early builds, it's easy to see how Microsoft is courting what will arguably make or break the OS's future. If Microsoft can deliver what they've already shown off, Windows Phone 7 Series will be a force to be reckoned with. What do you think of Microsoft's new mobile platform? How does it compare to your current mobile phone? Share your excitement in the comments.